We provide customers easy solutions to difficult cleaning problems. Providing an extensive amount of different chemicals, paper products, restaurant disposables, janitorial supplies and equipment. Servicing El Paso, Fort Bliss and Southern New Mexico since 1920. Family owned and operated since 1920. We are El Paso's home owned paper house. Big or small Southwestern Mill is here to serve you or your company. 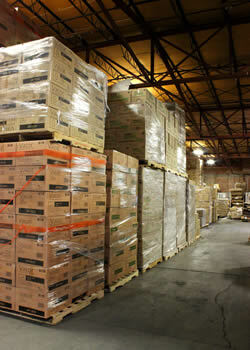 Southwestern Mill offers free next day delivery on all orders over $50.00. 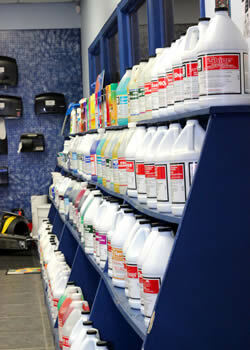 Chemicals: Degreasers, All Purpose Cleaners, Disinfectants/Sanitizers, Floor Finish, Floor Stripper, Laundry Products, Warewash Products, Deodorizers, Food Plant Sanitation Products, Wood Floor Products, Concrete Care Products, Aerosols, Hand Soaps/Dispensers, Bio-Based Products, Green Products, Bulk Chemical , Dilution Control Dispensers and Many More. Experience & Training: Since 1920 Southwestern Mill has taken pride in customer service. Southwestern Mill provides training on all products or equipment. Can't seem to find the product or information you are looking for? As always Southwestern Mills is happy to help. Please contact us today and we would gladly answer any questions you may have.